Paper Wasps build their nest around human establishments, and many people are allergic to wasp stings. Due to their defensive nature, nesting wasps are easily provoked to sting when their nest is disturbed. It’s difficult to prevent a wasp problem, but for outdoor events, it’s important to eliminate their food source. Keep all food and beverages in covered containers, clean spills quickly, and use covered waste containers. 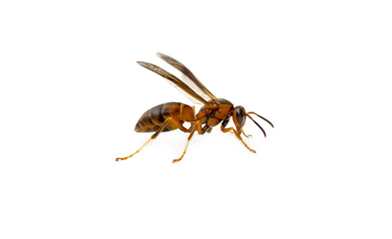 To eliminate wasp nests, a professional treatment is recommended.